Charles Watson was born in London in 1714 and volunteered for the navy in 1728. He was promoted lieutenant in 1734 and then post captain of the Guarland, a ship of 20 guns. His rapid succession through the ranks is attributed to the fact that his uncle Sir Charles Wagner was the first lord of the admiralty. For ten years, Watson served in the Mediterranean and guarded the western entrances to the English Channel. In 1748, Watson was sent to North America as Rear-Admiral of the Blue and was appointed Governor of Newfoundland and Commander-in-Chief of Cape Breton. As Governor, Watson attempted to deport the many Irish and Scots Catholics that were living on the Island, an English concern following the uprising in Scotland in 1745. Watson is well known for his reconstruction of the magisterial system in Newfoundland by giving commissions of the peace to civilians. 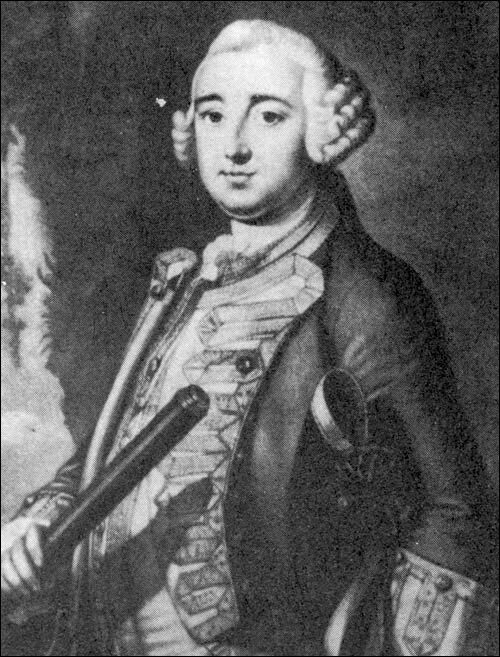 Much of his time was spent in Cape Breton during the reduction of the British naval force at Louisbourg in preparation for its return to France. Watson returned to naval service in the West Indies in 1749. He became naval Commander-in-Chief in the East Indies, and Vice-Admiral of the White in 1757. He died that year on August 16, in Calcutta.